Something strange and fresh has shown it’s face(s) in the streets of Montreal. And it can only be seen through Beast (MySpace), a collaboration of two of the most amazing French experimentalists, Jean-Phi Goncalves (drummer for Plaster, producer of Lauryn Hill) and the malefic and taunting songstress Betty Bonifassi (of The Triplets of Belleville soundtrack recognition). This transcending duo is creating something entirely new that is retrospectively reminiscent of something that quite can’t be described. The prolific and savvy track “Mr. Hurricane” is so damn brilliant it almost seems unfathomable something so original and bright could have started as a simple side project. Betty raps along a funk driven collection of bass and drums, telling an all to familiar symbolic tale, with a wonderful charisma that is unmatched. Then you’re hit with IT! It being a throw your hands in the air, sing along, choir filled chorus. Backed with Betty’s own lyrics, spirits are sure to be risen by the track ends. 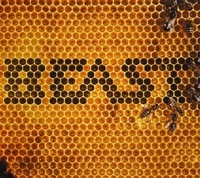 Beast’s self titled debut (due today, March 3rd) is sure to be a must-hear in 2009. Jean-Phi and Betty have a talent that deserves recognition. At the very least, much respect for being so willing to take pop music to the 13th story of the skyscraper of originality.